Earlier today, I was lounging on the couch, watching Netflix, and grading with my tablet, WOW. I'm not quite sure how "being flashcards" will help us learn, but I'm really glad about the positive response I'm getting from the students. I truly am a facilitator with this set up. My class is so quiet it's a little unsettling while the students are working, and then there's a burst of noise, and I realize they've come to a pair-share or short discussion point. Quiet again. Then talking as they begin group work. The activities allow them to guide themselves. And their discussions are good--relevant. I am free to work with students one-on-one or in small groups. I feel relaxed. I almost feel like I'm cheating. Isn't our job supposed to be a struggle? Aren't we supposed to be exhausted at the end of the day? But we have run into issues, mostly from being completely new to the whole platform. 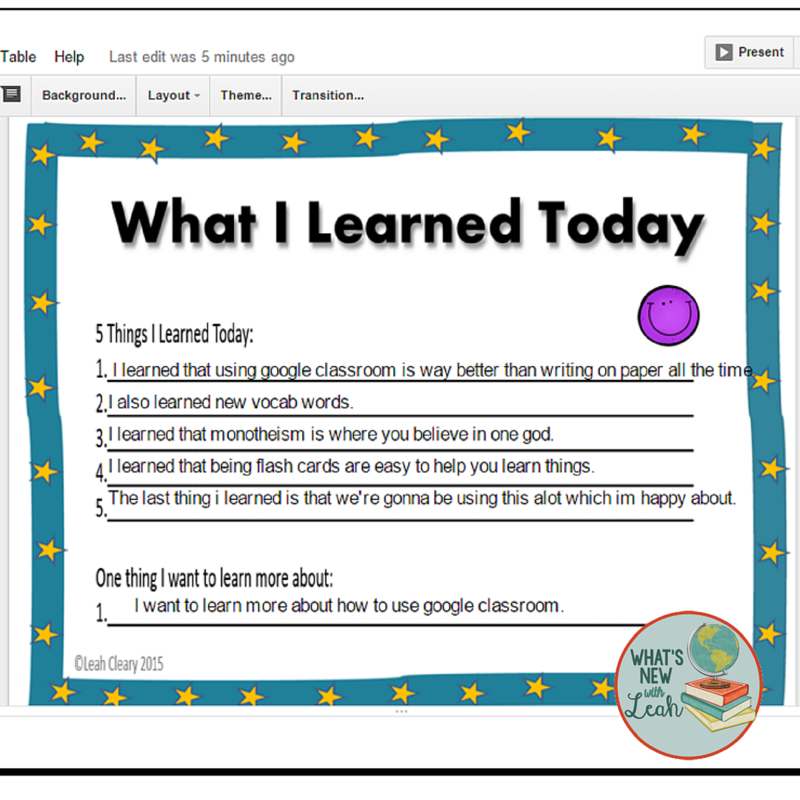 The problems we've encountered were all easy fixes, and I've listed them for you here (and included a PDF for you to print and reference) in case you're just as new to Google Classroom as I am. 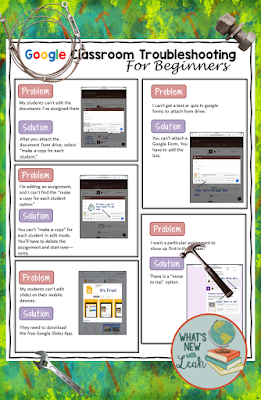 Hopefully, this helps if you encounter any of these issues on your Google Classroom adventure. You can’t “make a copy” for each student in edit mode. You’ll have to delete the assignment and start over—sorry. My students can’t edit slides on their mobile devices. 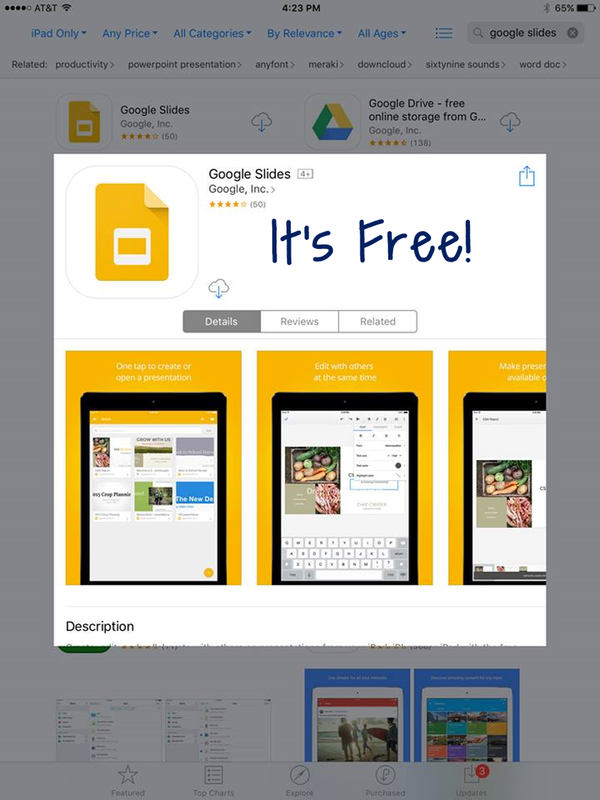 They need to download the free Google Slides App. I can’t get a test or quiz in google forms to attach from drive. 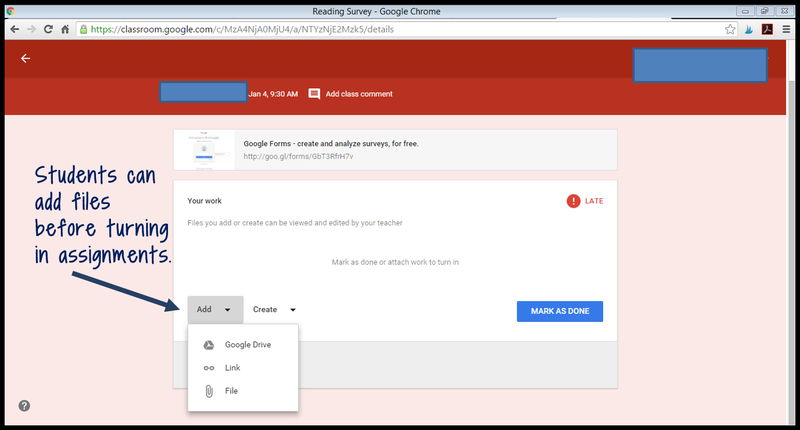 You can’t attach a Google Form. You have to add the link. I want a particular assignment to show up first in the stream. There is a “move to top” option. 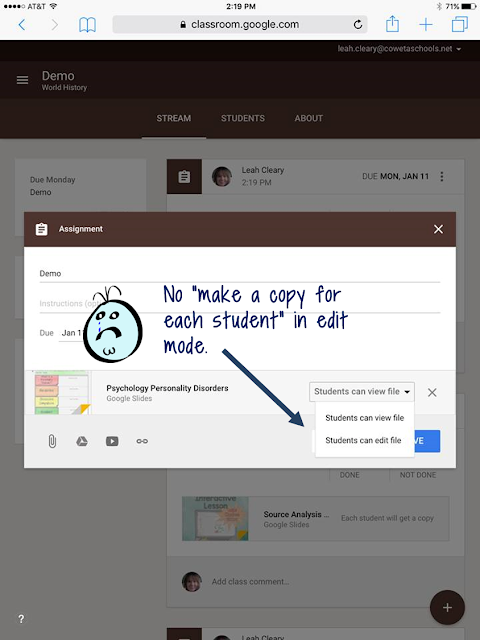 Students have turned in an assignment that they still need to work on. Send them a message to “unsubmit” the assignment and instruct them to complete or redo it. If it’s past the due date, simply change the due date temporarily. 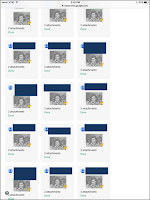 I teach multiple sections of the same subject, and I want to use the same assignment for all of them, but I don't want to retype it all those times. There is an option to post the same assignment to multiple classes. If you forget, there is a “reuse post” option. I can’t get back to all of my classes when I am viewing a particular class. Seriously. This confused me at first. Click on the three lines next to your class title and drop down options will appear. You can go to any of your classes from there or back to home. A student accidentally deletes the slides or doc I’ve assigned her. 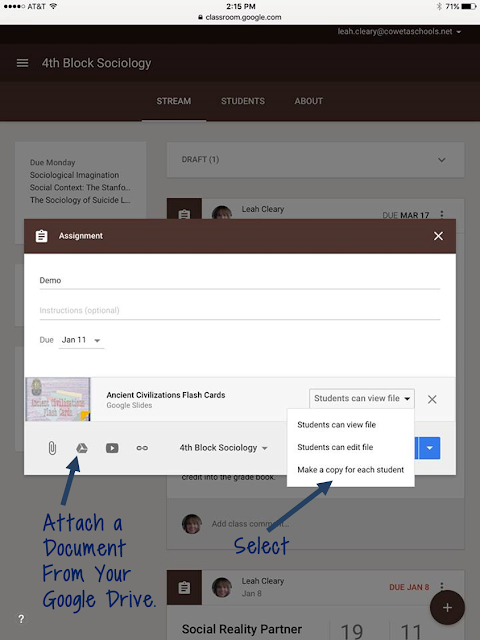 -Go into your drive, and make a copy of the original assignment (important to make a copy—you don’t want the student editing your original). 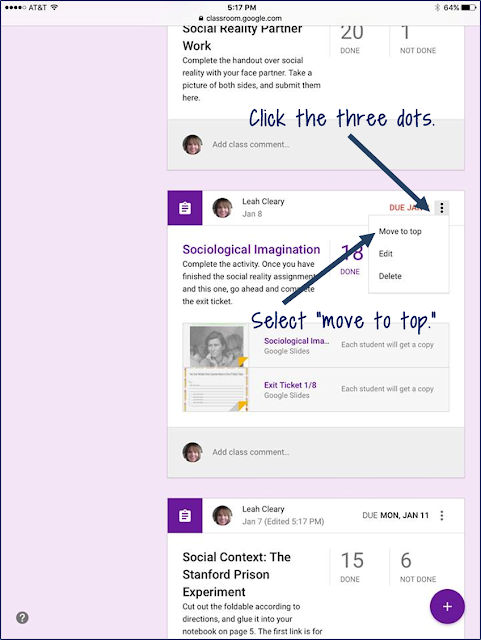 -Click “share” on the copy, and select “user can edit." - Email your student the link. -When she completes the assignment, instruct her to go back to the assignment box in classroom and click “add,” and attach the document from drive before submitting. 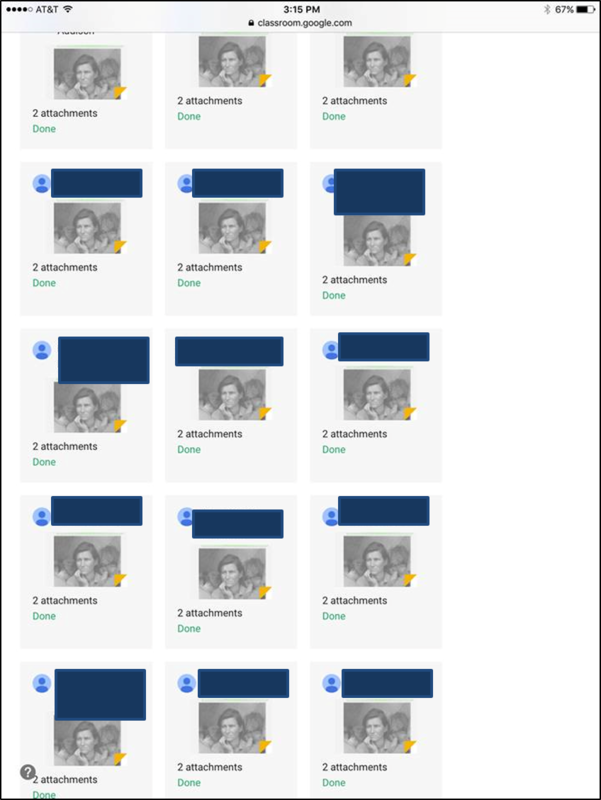 My students can’t figure out how to attach documents and photos when submitting assignments. 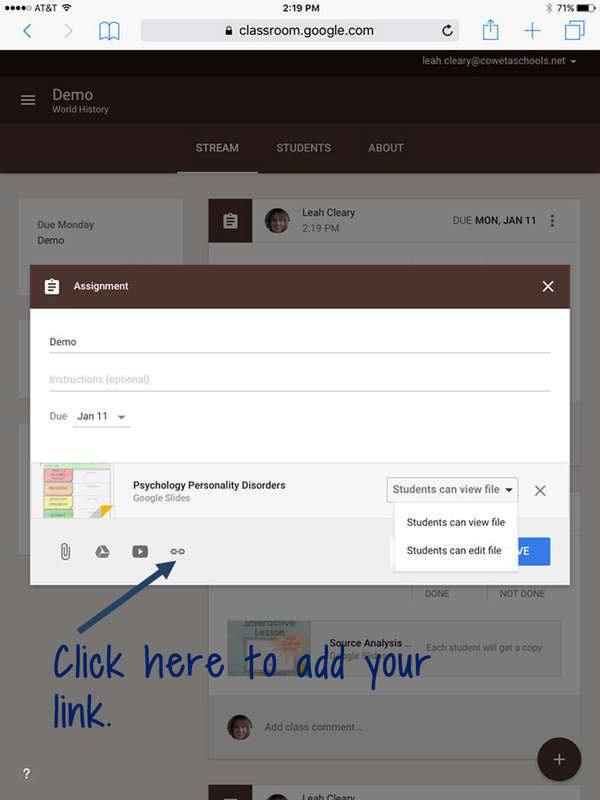 Before they “turn in” the assignment, they should click “Add.” They will be prompted to add a file from their computer or Google Drive or to add a link. 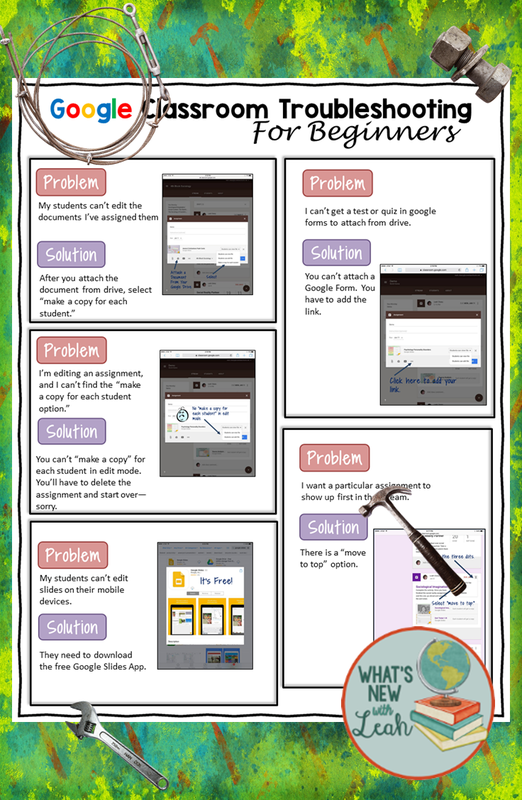 Those are the only issues I've run into so far here at the beginning of my digital classroom journey. You can check out my interactive resources for Google Classroom HERE. They've been a big hit with my kids so far! Do you use Google Classroom? If so, what are some issues you've encountered, and how have you fixed them? Let me know HERE or in the comments! This is a terrific help! Thanks, Leah! Our district has ItsLearning, similar to Google Classroom. We just went 1:1 with Ipads. 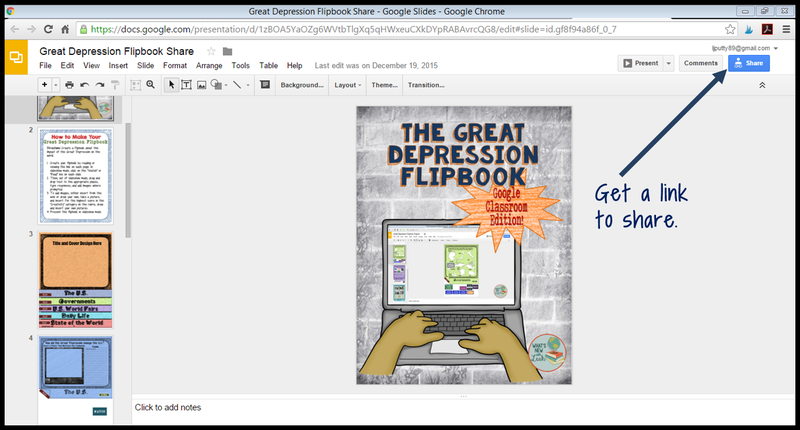 The problem is we used Chrome books up until now. They were now given to the middle school. 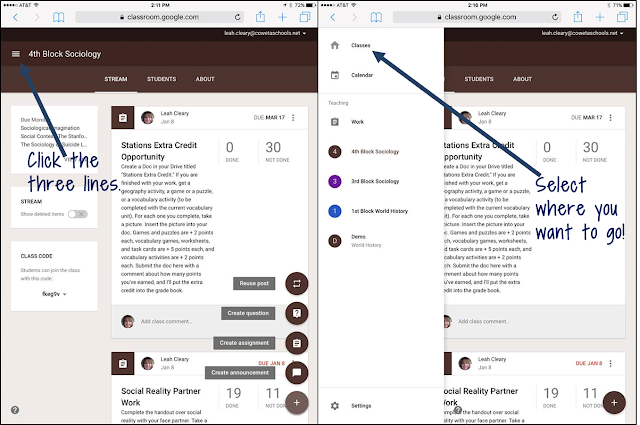 The movable parts that we could use in an interactive activity in Chrome no longer can be movable in Ipad. I made the activities myself. Is there any way to actually make the parts movable on an Ipad? Would love any help if you might know...Renee From Science School Yard...K5sciencegal@gmail.com.